Louella was born in Ferdinand, Indiana, on May 25, 1932, to William and Clara (Miller) Woebkenberg. She married Robert L. Obermeier on October 4, 1958, in St. Joseph's Catholic Church in Dale, Indiana. He preceded her in death on March 27, 2017, after 59 years of marriage. Louella was a graduate of Dale High School and then Lockyear College. She previously worked as a bookkeeper before staying home to raise her children. She was a member of Holy Family Catholic Church in Jasper, Blessed Virgin Sodality, the Patoka Valley Quilt Guild, and the Memorial Hospital Auxiliary. Louella served in many ministries over the years at Holy Family Catholic Church and school. She received the Brute award in 1991 for her many years serving as a co-chairperson on the Quilting committee. Surviving are three children, one son, Ron A. (Mary) Obermeier, Amy M. (Mike) Feller, both of Newburgh, IN, and Ann L. Obermeier, Jasper, IN, three grandchildren, Tori and Luke Obermeier and Josh Feller, and one sister, Betty Dilger, Jasper, IN. Preceding her in death besides her husband are two sisters, Doris Schaefer and Marilyn Woebkenberg. 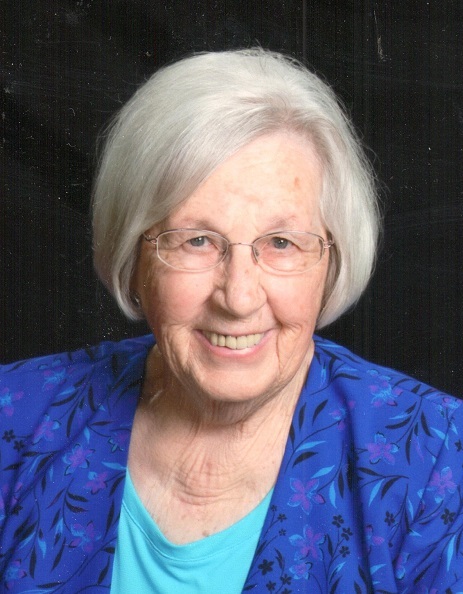 A Mass of Christian Burial for Louella H. Obermeier will be held at 11:00 a.m. on Tuesday, April 16, 2019, at Holy Family Catholic Church in Jasper with burial to follow in Fairview Cemetery in Jasper. A visitation will be held from 3:00-8:00 p.m. on Monday, April 15, 2019, at the Becher-Kluesner Downtown Chapel in Jasper, Indiana, and two hours before services from 9:00-11:00 a.m. at the church on Tuesday. The Blessed Virgin Sodality will pray a rosary at 2:45 p.m. at the funeral home on Monday. Memorial contributions may be made to Holy Family Catholic Church, the Patoka Valley Quilt Guild or to a favorite charity.